This yearly prize is being given in honour of Professor Gustave Willems, President of PIANC from 1956 until his death in 1982. As the PIANC President for seventeen years, Robert De Paepe fostered the international spirit and the professional development of PIANC. In 2002, it was decided to merge the ‘Foundation Robert De Paepe’ with the Gustave Willems Award. 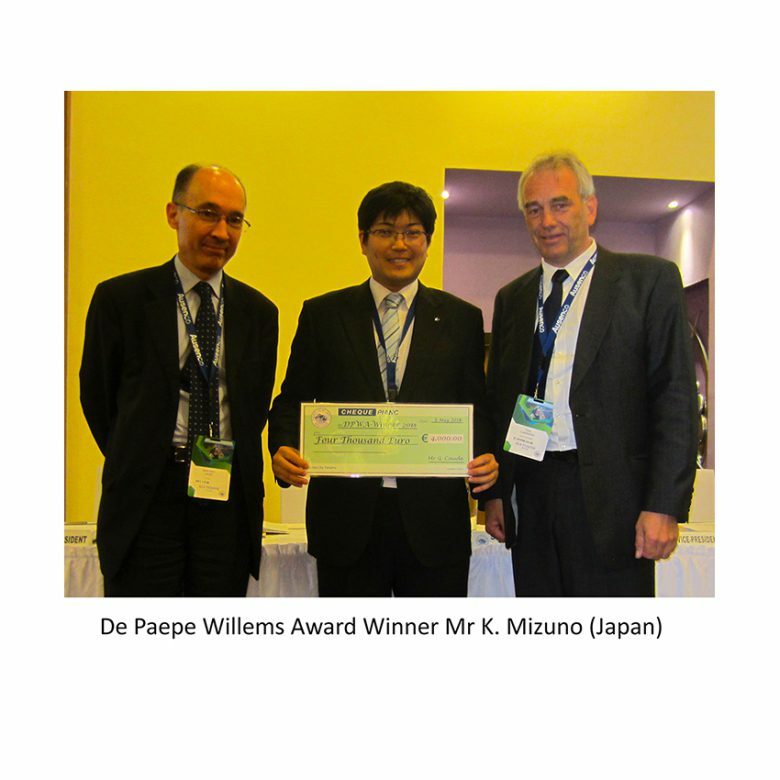 Since 2003, the former Gustave Willems Award is known as the ‘PIANC De Paepe-Willems Award’. Contestants for the prize should not have reached the age of forty and they are required to submit a paper on subjects in the fields of design, construction, improvement, maintenance of operation of inland and maritime waterways (rivers, estuaries, canals, port approaches), of inland and maritime ports and of coastal areas. The three winning authors receive an amount of € 4,000.00, € 2,000.00 and € 1,000.00 respectively. Before 31 August, the application form and a three-page abstract have to be submitted to the General Secretariat of PIANC. The full paper needs to be sent in before 30 September. No exception to these deadlines will be allowed. I certify that the accompanying article has been written solely by me and has not been published elsewhere. I have read and agree to be bound by the rules of this competition.